Emoji icons are a popular set of ideograms that became available on the iPhone with iOS 5 and are commonly used to when sending messages. 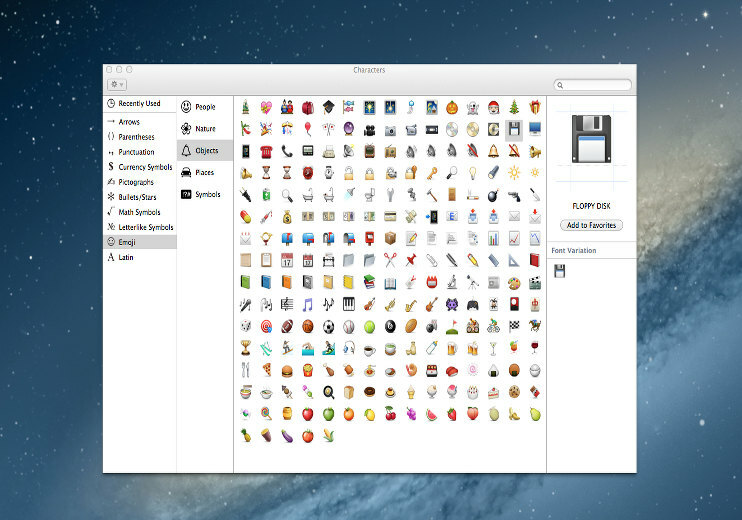 But did you know you can use them on the Mac as well? Whether your writing yourself a note or using Messages to talk to a friend, you can easily add Emoji icons to your text by following these easy steps. Head to the menu bar at the top of the screen and click “Edit”. 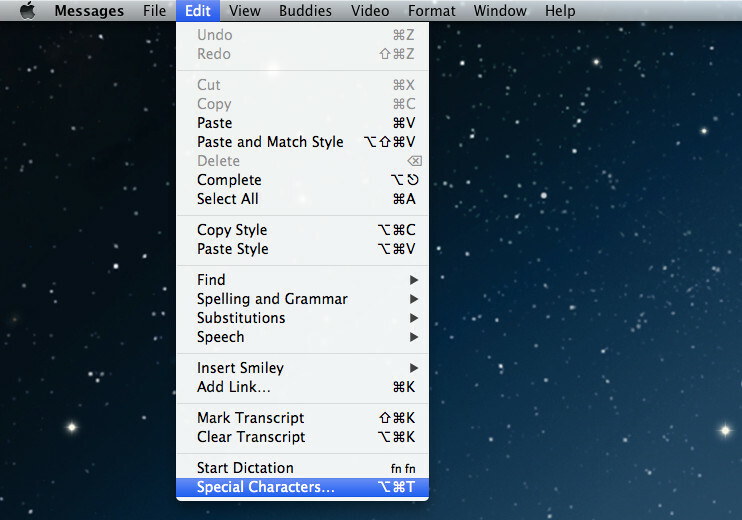 Select “Special Characters” or press Option+Command+T on your keyboard. Select an Emoji from the list. Drag and drop the Emoji wherever your text is and your done!